This is a new examination of how Shari’a law affects public policy both theoretically and in practice, across a wide range of public policy areas, including for example human rights and family law. The process by which public policy is decided - through elections, debates, political processes, and political discourse - has an additional dimension in the Islamic world. This is because Shari'a (divine law) has a great deal to say on many mundane matters of everyday life and must be taken into account in matters of public policy. In addition, matters are complicated further by the fact that there are differing interpretations of the Shari'a and how it should be applied to contemporary social issues. 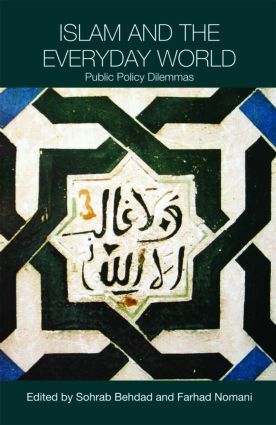 Written by leading experts in their field, this is the first comprehensive single volume analysis of Islam and public policy in the English language and offers further understanding of Islam and its wider social and political implications.